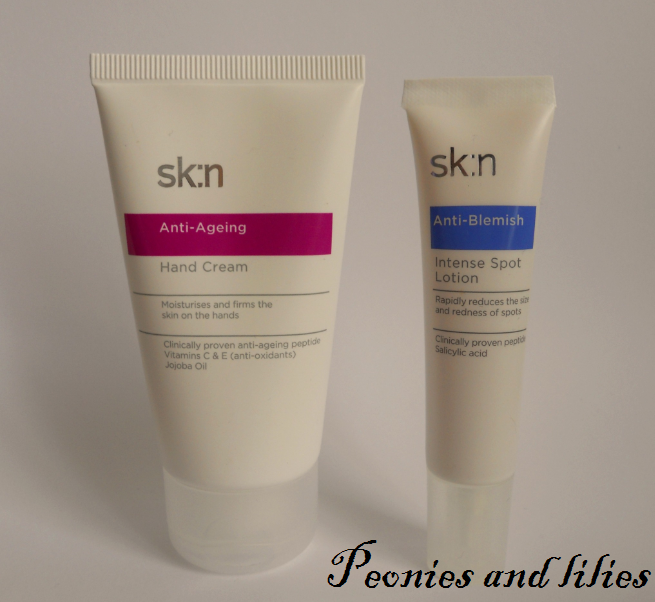 Throughout the day, I like to regularly moisturise my hands, and their anti-ageing hand cream does the job perfectly. It has a rich creme gel texture, contains vitamins C & E, as well as jojoba oil to keep dryness at bay. Some hand creams merely create a barrier, but this really sinks in and nourishes my skin. Best of all, it's non greasy, and the 50ml tube is perfect for carrying in my handbag. From time to time, I get the odd blemish, and when I do, I now find myself turning to their anti- blemish intense spot lotion. Having tried out different formulas, I've come to prefer gels, as they are less runny and can be easily applied to just the spot. It contains salicylic acid, and although it won't get rid of the spot overnight, it will help to reduce inflammation and speed up it's removal. Have you tried anything from sk:n? What do you use to keep spots at bay? I use their anti-blemish intense spot lotion too! I was total zit face when I was back home and I thank God I had this with me cuz I would have looked like a 13 year old boy otherwise!